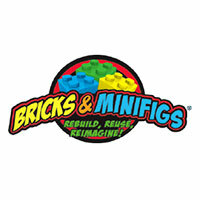 Bricks & Minifigs® is your one-stop LEGO® shop! We are the largest toy store of our kind, specializing in only new and used LEGO® items. Enjoy our selection of individual minifigs, bulk bricks, components and accessories. With the largest assortment of new, used and retired sets we keep your collection growing!